I have a love for all things paper, whether it is stationery, planners, office supplies, pens, etc., so I was very excited for this aspect of wedding planning. Save the dates and invitations are the first items to set the tone for a wedding, and I wanted our personality to shine through. 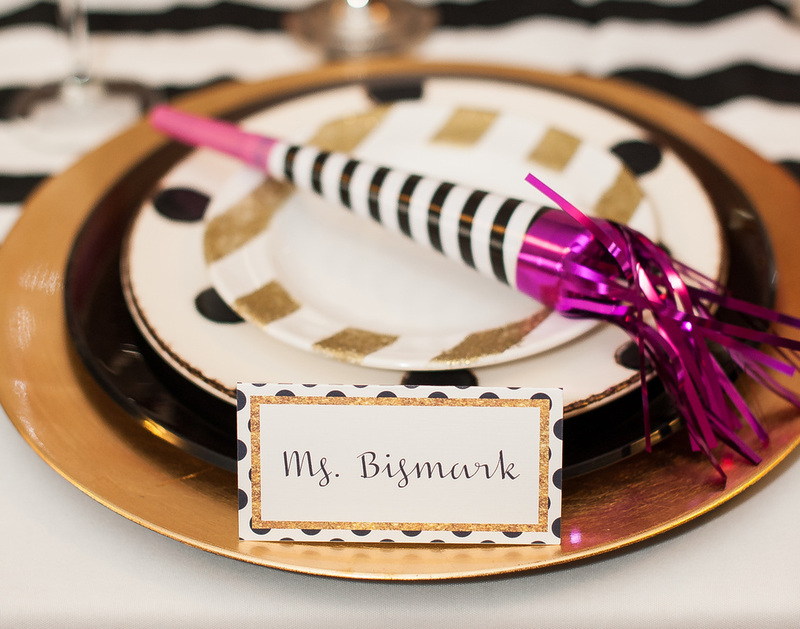 It was my ultimate goal for our wedding to be filled with laughter, fun, and to be the party of the year, and I wanted that to be portrayed in our paper goods. Working with Erin was a dream come true; turning my Etsy/Pinterest inspirations into a single vision, and making them come to life on paper. She designed/created all of our paper products for our wedding (save the dates, invitations, programs, coasters, cocktail napkins, signage, etc. ), and they were truly unique and one-of-a-kind. Erin was an absolute pleasure to work with, always professional, extremely responsive, and her pricing and quality was exceptional. To this day I still get compliments on our save the dates and invitations, everything came out even better than I could have ever imagined. I cannot recommend working with Erin enough, I promise she will not disappoint! 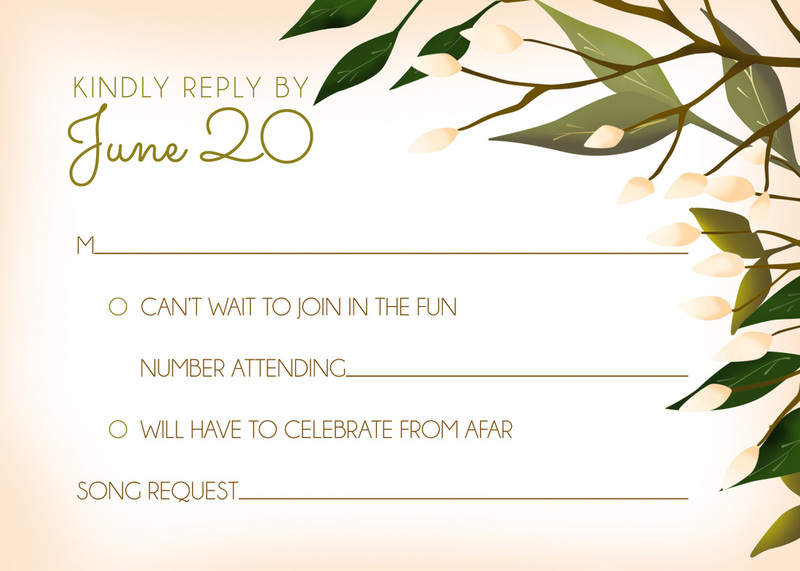 Wedding planning isn't easy, but with Erin, your invitations will be! Starting out, we had no idea what we were looking for in our invitations. We spent hours looking at pages and pages of invitations and packages, but never really liking any of them. I messaged Erin, and she very quickly responded to me and helped get things moving in the right direction. She came up with a design perfectly suited to us, & I absolutely LOVE them! I gave her a little information about us and how Jeremy proposed, and a small idea of what we both wanted, and she really delivered. I love that we can say our invites are truly one of a kind! I don't know anyone else that has Otters on theirs... yet. :) Shipping was faster than expected & the quality is wonderful. Also, her pricing was perfect for our budget! Many of the packages we looked at online were much more expensive than our total with EAlexDesigns. 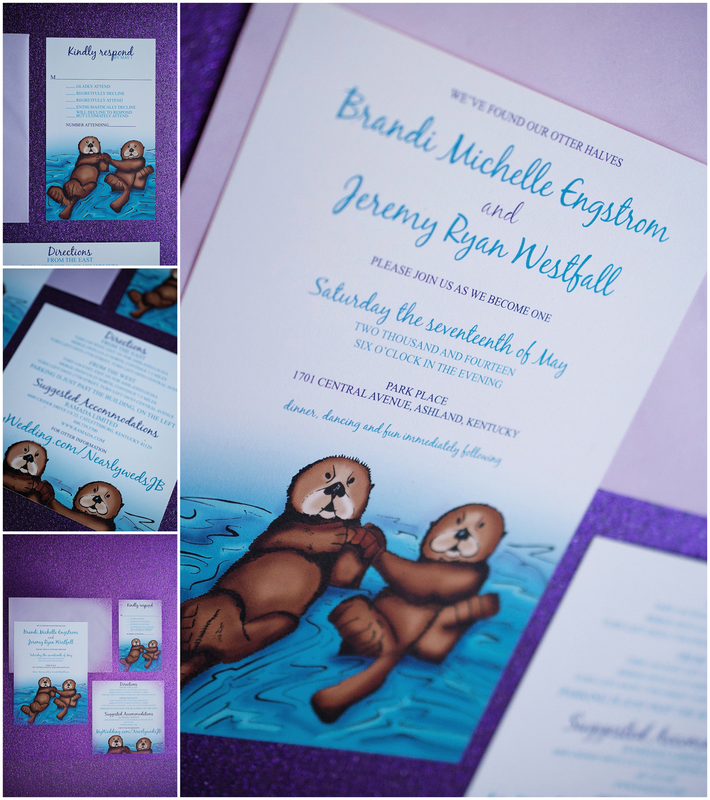 We definitely recommend Erin to anyone looking for the perfect invitations & a carefree process. Amazing work!! I ordered beautiful stationery from her. It was so well done and definitely quality work. Will definitely order again. Erin has an amazing eye of what is modern and now; she made our wedding day 'fans' for us for our Las Vegas wedding. To say that I loved them, is an understatement. I gave her very little direction -- just a basic idea of what I like color wise and design, and she handled the rest. They were very well made and exactly what we were looking for. Erin is so easy to work with and the final product was very professional. She also is extremely competitive price wise. I highly recommend her work to anyone looking for save the dates, invites, favors, or anything needing an artistic touch. You won't be disappointed! My wife usually handles all of the holiday cards and what have you. However, this year she decided to utilize a more skilled and professional individual to do so. At first I was hesitant...I wasn't sure it would be worth the investment for a few fonts and picture inserts. However, when Leota showed me the work EAlexDesigns had done with our simple idea I was beside myself. Erin had managed to take a simple concept and draft it into something beautiful, tactful, and meaningful. The design was catchy but not gaudy, bright but not obnoxious. Simply put, she perfected our request. I am impressed and appreciative to Erin for her work. She put her all into our project and it showed in every detail. I would not hesitate to utilize her for our future graphic design needs. Great product, arrived quickly; love it. Erin has been beyond helpful! Her designs are beautiful and she is speedy! I'm so in love with all the work she has done for my wedding paper needs! EAlex was so great to work with. She was timely in responding to my email and even when I miscalculated how many invites I needed, she was more than happy to accommodate me. I will definitely be ordering again! I have ordered not only my wedding invitations but every birthday invitation I have needed for my children. All I have to do is give her the theme and she blows me away with what she comes up with. Fantastic design and quality on my note cards I got. Loved that they were all different colors. Will definitely be ordering more! Simple and so beautiful. Perfect for my garden wedding! Thanks so much! The invitations were beautiful and Erin was extremely helpful. I had no idea what I was doing and she walked me through it every step of the way. An absolute pleasure and I will definitely order from EAlexDesigns again! Erin did an incredible job on this invite for my mom's surprise 60th birthday. She tweaked the things I wanted changed, and it turned out wonderfully! She was quick with both her communication and production of the invite. When I needed an additional change after she finalized the work, she was so nice (and quick) about going back and fixing it for me at no cost. ANY invitation, card, etc. that I need in the future will be purchased from Erin. No question about it! Thanks, Erin! Erin was such a pleasure to work with. Super helpful and responsive! Definitely recommend her work. 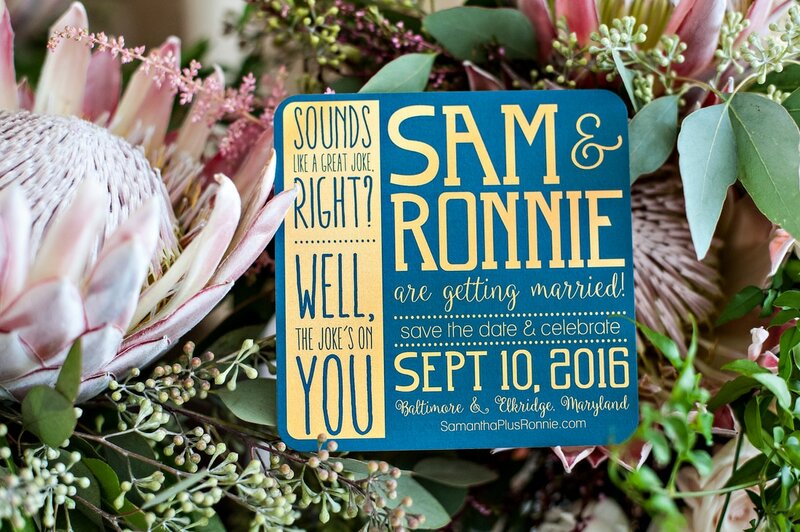 Great wedding save the dates, invitations, programs, and thank you cards! She created something spectacular by using our colors and theme throughout all of our wedding stationary. We received many compliments for our save the dates and invitations. If you are planning a wedding, she's the person to contact for all your stationery needs! Easy process and quick service! I'm a happy customer! My boyfriend loved his card, gave it to him for his birthday :) Now it's framed on his nightstand. It expressed something so well between myself and a dear friend. Excellent Card. Thanks!!!! Great communication and attentiveness. She tailored the stationary just as I wanted it. Highly recommended! Fantastic! Easy process, quick service, and love the design!! I've ordered personal stationery for myself, but the best was my 4 year old's Batman birthday invitations - all the other mom's wanted to know where I got them! I will use EAlexDesigns for all my invitations and personal stationery. Customer service absolutely awesome! Great follow up. The product was superb. So happy I found this designer. I love her style and the communication is great. Can't wait to work with her again! I cannot express how amazing my experience was with EAlexDesigns!! She was receptive to my ideas, accommodating with my multiple adjustments, and insanely quick! From design confirmation to door step was less than 4 days!!! That includes printing and shipping of cards!! I have found my forever designer!! Please tell us how much you loved what you got! All rights reserved by artist. Images are not to be re-distributed or altered in any way. Sale of item does not transfer its copyright.